If you would like to contact Italia 500, simply email us at enquiries@italia500.com.au, or submit the form below. 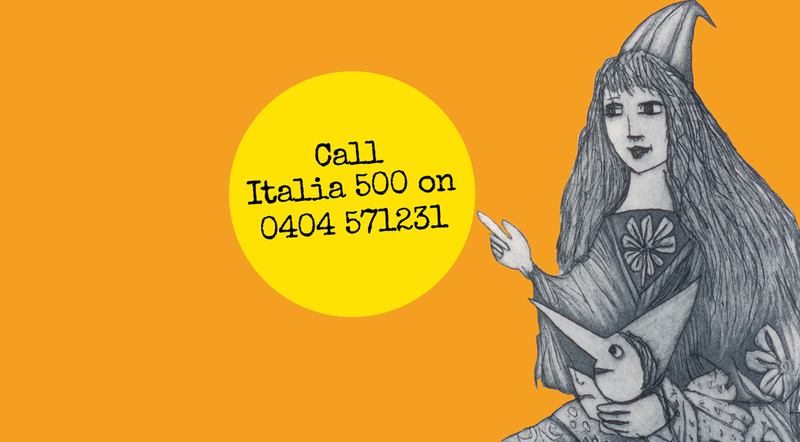 Alternately, you can call Italia 500 on 0404 571 231. Our office hours are generally: 1.30pm to 6.00pm, Monday to Thursday, however, if you are planning to drop by, please call ahead.